All-round display by V Jawahar (4/19; 33) helped Apollo Tyres defeat Seaways Shipping by six wickets and defend the Lucas TVS-Thiruvallur DCA Trophy. 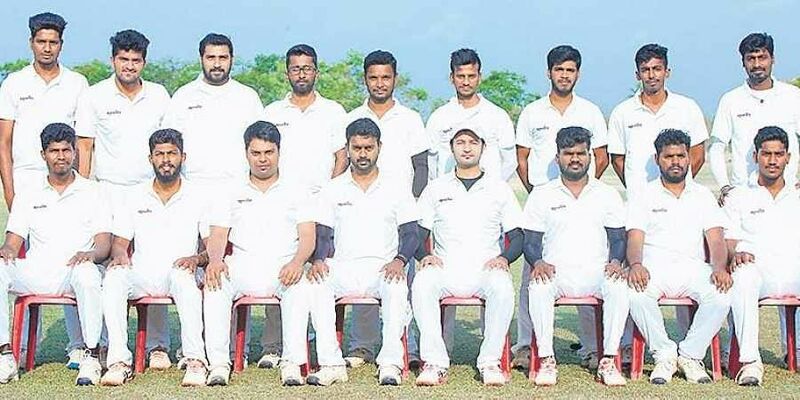 CHENNAI: All-round display by V Jawahar (4/19; 33) helped Apollo Tyres defeat Seaways Shipping by six wickets and defend the Lucas TVS-Thiruvallur DCA Trophy. Brief scores: Seaways Shipping 108 in 24 ovs (V Jawahar 4/19) lost to Apollo Tyres 110/4 in 17.1 ovs (R Vinoth 47, V Jawahar 33, Antony Raja Durai 3/38). M Dinesh Veda Guru’s 53 propelled Seshadhri MCC to a 41-run win over Ambattur CC in a second round match of the 10th Thiruvallur DCA-Gopu Memorial T20 knock-out tournament here on Sunday. A Velmurugan’s 6 for 48 enabled Bunts CC to defeat Perungalathur CC by nine wickets in a TNCA-Third Division ‘B’ Zone league match. Brief scores: III Division ‘B’: Perungalathur CC 169 in 47.5 ovs (AV Abilash 55 n.o, R Sri Neranjan 44, A Velmurugan 6/48) lost to Bunts CC 171/1 in 29.1 ovs (SM Vinoop 83 n.o, Vishnu Vinod 40, D Gowri Shankar 37 n.o); Cosm­o­pol­i­tan Club 105 in 33.4 ovs (N Selva Kumaran 4/27, G Inbanathan 3/31, T Veeramani 3/15) lost to Sea Hawks CC 110/4 in 18 ovs (MP Prithvineal 67, R Nandagopal 34 n.o, Kailash Choudhary 3/16); Prem CC 143 in 40.1 ovs (B Mathan Khumar 64 n.o, P Satish 4/18, Vinukonda Venu 3/42) lost to Indian Bank S&RC 145/2 in 18 ovs (MA Atheeq Ur Rahman 74, Sachin Omprakash Katariya 53 n.o); Royapettah CC 227/8 in 50 ovs (Naresh Gahlot 81, Karia Jesal Balibhai 71, R Sasidharan 4/54) bt Garnet CC 126 in 36.2 ovs (R Sachit Rai 3/26, Naresh Gahlot 3/28, Karia Jesal Balibhai 3/31).